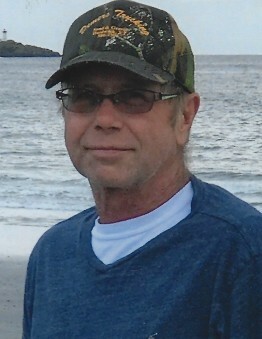 HARDWICK- Dennis G. Demers, 62, passed away peacefully at his home March 31, 2019. He was born on November 2, 1956 to George and Bernadette (Couture) Demers. He grew up on a dairy farm where he learned strong, life-long work ethic. Dennis loved life on the farm with his parents and six siblings. Dennis married the love of his life Lori Ferland on July 13, 1985 (they spent everyday together for 36 wonderful years). They had five children. He started his own trucking company and later opened a gravel pit known as Dennis Demers Trucking, Sand and Gravel. His love of hard work and the outdoors was second only to his children and grand children- his greatest accomplishments. Dennis was the best ever Dad and Papa and taught them by example how to work hard, live as a good person, and help out when you can. He loved his grand kids. Spending time with them was such a blessing and it made his life complete. He loved being at camp with them swimming, boating, and fishing. Dennis loved tinkering on the go cart and riding it with each of them. He also loved watching them play sports. Dennis was very proud of his family and loved them all so much. With Dennis gone there is a huge hole in the family and we are beyond broken without him. Dennis is survived by his wife Lori, his children; Jesse (and spouse Naji) Demers of California, Tyler (and wife Michelle) Demers of East Hardwick, Dennise Demers and partner Christopher Williams of Hardwick and Nicholas Demers also of Hardwick. Ten grandchildren; Natalie, Talon, Deegan and Emerson Michaud; Jeter, Blair and Ivy Demers; Ryker Demers and a sibling on the way; Annabelle and Caroline Welcome. His siblings; Raymond (and wife Susan) Demers, Michael Demers (and partner Diane Dunn), Claire (and husband Howard) Hill, Roger (and partner Jody) Demers, Paul (and wife Susan) Demers, and Giselle (and husband Gordon) Chamberlain. Mother in law Ruth Silver (and partner Ted Poulin) of East Hardwick, brothers in law; Louie Ferland, Steven (and wife Lisa) Ferland, Clifford (and wife Dawn) Ferland, sisters in law Donna Ferland, Catherine (and husband Rocky) Richard, and many nieces and nephews. He was predeceased by his daughter Maria Michaud (passed away at 25), his parents, and his father in law Donald Ferland, father in law Gary Silver, nephew Aaron Demers, and Big Uncle Louie Gates. A funeral mass will be celebrated Monday April 8, 2019 at St. Norberts Catholic Church in Hardwick at 11am with meal reception to follow in the church hall. A spring burial will be held at the convenience of the family. Arrangements are with the des Groseilliers Funeral Home of Hardwick. Online condolences may be conveyed to the family at dgfunerals.com.